Before you begin the second phase of the HCG Diet, you may be wondering what to eat on the HCG Diet Phase 1. The Phase 1 portion of the HCG Diet is very important. This is the phase that is known as the "loading phase. " This means that you will need to consume high-calorie foods, and foods that are high in fats. Loading this way will allow your body to store enough excess body fat to get you through the beginning Phase 2 , which is the 500 calorie-restricted phase of the HCG Diet Program (when the HCG is just entering your system). These excess fat stores are what will be slowly eliminated during Phase 2. Many of the foods that are typically forbidden with other diet plans will be encouraged during Phase 1. Some of the food suggestions you should "load" on include healthy fats such as avocados, eggs, sour cream, almonds, etc. Stick to red meats like steak as opposed to foods such as baked or broiled chicken or fish. You do not have to eat foods high in saturated fat such as burgers and french fries in order to load properly. Healthy fats will work just as effectively without compromising your health. Try to select foods that are considered "dense," which usually means they are also high in fats and calories. Another question you might have during Phase 1 is: How much of these foods do I have to eat? The answer depends on your appetite. You do not have to eat until you become sick. Simply eat until you are full. There is no need to "cut back" or "diet" at this point. Some people simply do not eat a lot of food at any one sitting, and this is perfectly fine. You will find that many other popular restaurants that are not fast food places, serve calorie-rich foods that are also high in fat. Another important consideration to make is to get enough fiber in your diet. 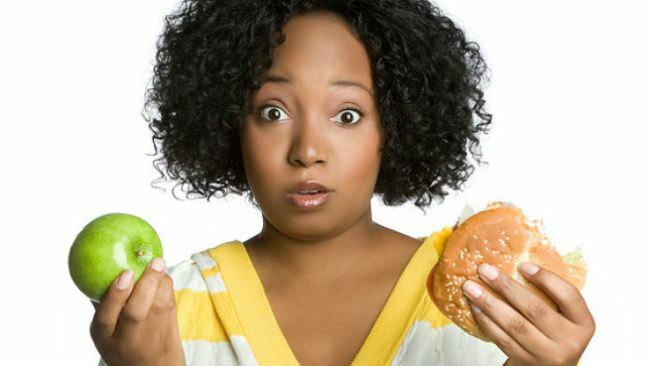 Since you will be eating dense and fatty foods, you may develop digestive difficulties. Adding green, fibrous vegetables will help to ensure that your digestion system stays in good condition, particularly if you are not used to eating high-fat, high-calorie foods. Just be sure to load up any salads with full-calorie dressings, and enjoy. You will be allowed to load on these types of foods for a full two days before transitioning on to Phase 2. Another purpose of Phase 1 is that your body will be able to rely on the fat stores that have accumulated during this loading phase, and that will help to keep you from feeling deprived during the HCG Diet Phase 2. Here at Nu Image Medical, we provide you with all the support you need in order to be successful on the HCG Diet Program. Nu Image Medical is available to provide support to you, or to answer any questions you may have during every phase of the HCG Diet Program. We offer 24/7 support through the phone, email, social media, and live chats. Please contact Nu Image Medical at (888) 520.3438 or visit our website at www.nuimagemedical.com.